Recently we wrote about how good value doesn’t necessarily mean something has to be cheap on Tenerife. When it comes to dining out, opting for cheap can result in poor quality ingredients or food that isn’t prepared as well as it could have been. The worst eating out experience we’ve had on Tenerife was about 10 years ago in a Brit bar in Puerto de la Cruz because a visiting family member insisted on finding somewhere which served scampi. The food was bloody awful, but it was cheap. Anyone who reads the Real Tenerife could be forgiven for thinking we mainly eat in more upmarket avant-garde restaurants. Whilst it’s true we’re huge fans of creative cuisine and cool surroundings, we’re also as happy tucking into a poke of roasted chestnuts beside the harbour in Puerto de la Cruz or indulging in a massive carb hit by wrapping lips around a tortilla bocadillo in the bus station in Santa Cruz. 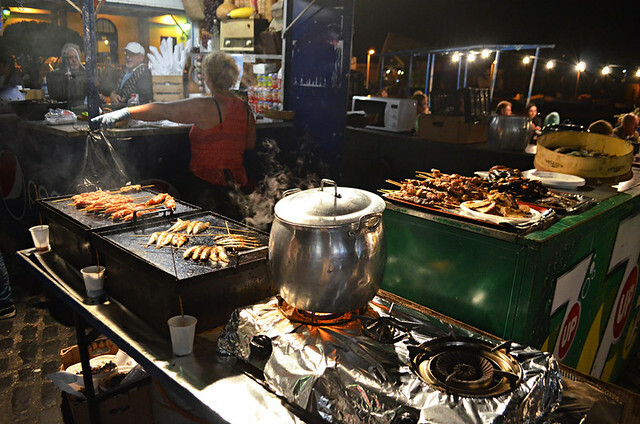 The criteria that links both is that whether it’s posh nosh or street food, it has to be good quality. Many people who don’t know the island well still scoff at the suggestion Tenerife is an ideal destination for travellers who enjoy immersing themselves in local gastronomy. There is a massive culture of dining out in Tenerife, an island where the average wage is very low compared to the likes of Britain and Germany. What that means is that in order to keep that culture of eating out thriving, the cost of dining out is low. And what that also means is visitors can enjoy quality food at remarkably low prices. Although eating out is relatively cheap anyway, there are ways to bring the cost down even more and still enjoy food that is in a completely different league to the soggy, tasteless mess we were subjected to in that Brit bar all those years ago. These are five ways to eat good food on Tenerife without spending a lot of money… and not going all inclusive. It’s hardly a secret that on Tenerife, and across Spain, one of the best ways to enjoy a substantial meal of good food which doesn’t cost a lot is to opt for the menú del día – an offer of the day usually scrawled on stands and blackboards outside restaurants. 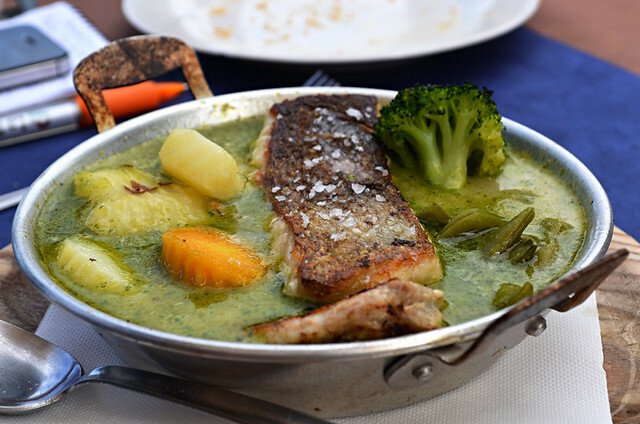 The menú del día comes in various guises. It can consist of two courses, or it can consist of three – starter, main, dessert. Usually a drink is thrown in as well. In some places it’s a fixed menu, in others there may be a limited choice for each course. On Tenerife the menú del día can be as low as €5, although I’d personally be wary of one that low. Generally they are higher, averaging €8-€10. 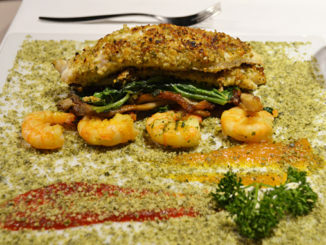 They’re often associated with traditional restaurants, but modern Canarian restaurants have menú del día offers as well. Mag Café Bistro in the Auditorium is managed by one of Tenerife’s top chefs, Lucas Maes, and the excellent menú del día there is €12.95. Traditional fiestas are not something a high percentage of visitors to Tenerife are likely to witness, but anyone who is interested in culture or is staying somewhere with a big Canarian population will probably experience a fiesta or two at some point. Where there are fiestas there’s cheap food. As I write this it’s the run up to the fiesta de San Andrés at the end of November. There are chestnut and wine stalls around the harbour in Puerto de la Cruz where a poke of roasted chestnuts will set you back €2, a cup of wine is €1 and a plate of fish, sweet potato and banana is €5.50. 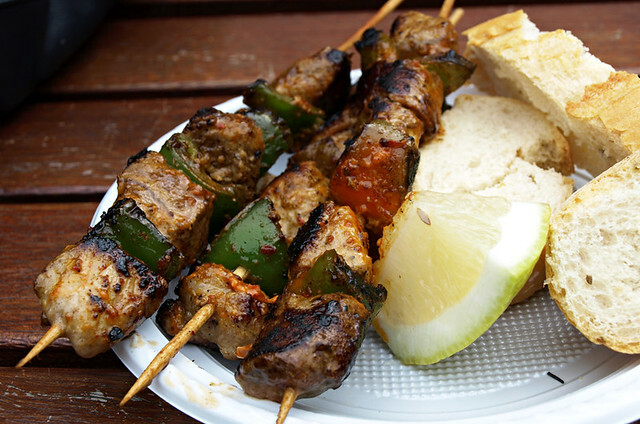 The ever present fiesta offerings we always seek out are pinchos morunos – spicy pork kebabs that usually cost about €1.50. If the fiesta happens to be a romería then you can end up with some of this stuff for free. 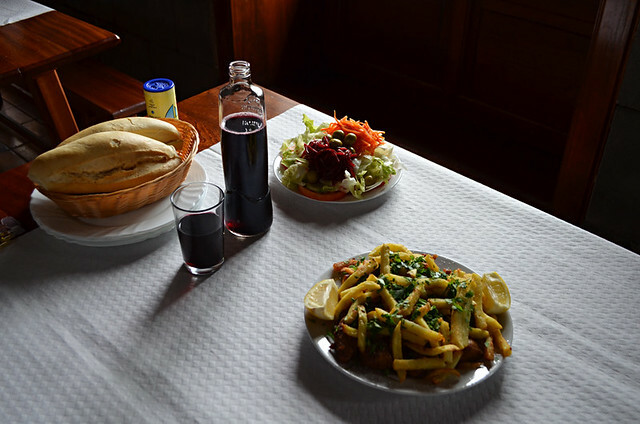 The ultimate in a cheap, truly authentic Canarian dining experience is to visit a guachinche, rough ‘n’ ready (usually) eating establishments which are the modern day equivalent of roadside stalls set up to provide travellers with food and wine. 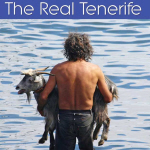 I say ‘Canarian’ dining experience but the truly authentic ones are unique to Tenerife, and north Tenerife at that. 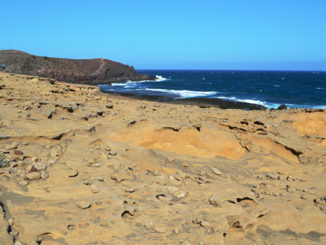 A band we know from Gran Canaria were blown away by their guachinche experience here last year. Menus are limited by law (in theory), but the food is good home-cooking and ridiculously inexpensive. Whenever I hear someone slate Tenerife as being just Brit abroad land I want to take them to a proper guachinche and see how they fare trying to sort out some food for themselves amongst Canarian campesinos with accents as thick as miel de palma. As a general rule, restaurants outside the purpose built resort areas who rely on a local (Canarian) clientele can generally be trusted to serve good food at wallet/purse friendly prices. They need their local clientele to return again and again to survive. This doesn’t just apply to basic traditional restaurants, it’s the same with chic modern Canarian restaurants serving creative cuisine, which is why we can afford to eat in them on a regular basis. Shortly after we moved here we enjoyed a feast in a restaurant in Santa Ursula which didn’t show prices on their menu board. Having a suspicion of anywhere which doesn’t display prices we waited for an extortionate bill, especially when the waiter referred to it as ‘la cuentita’ (the little bill). He wasn’t being ironic, it was embarrassingly low. When waiters in traditional areas talk about ‘la cuentita’, they mean it. 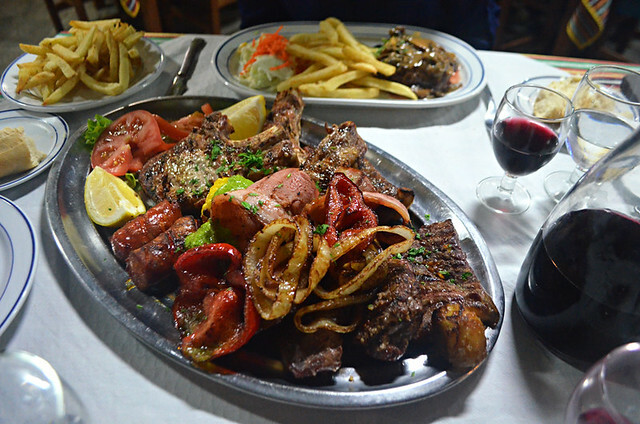 Sharing tapas on Tenerife can be a way to keep bills down as well as getting to try lots of interesting local and Spanish tapas. Generally prices are low and portions are decent plus there are some excellent tapas restaurants on Tenerife. 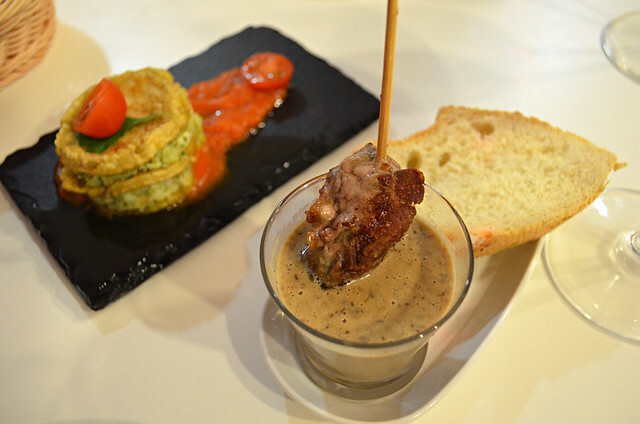 Our favourite way of trying tapas that are different from the norm whilst getting to check out restaurants we haven’t tried before is to go on the gastronomic version of a magical mystery tour, more commonly known as a ruta de tapas (tapas route). These take place in most municipalities on Tenerife at some point in the year (October/November is a particularly good time) and follow the same pattern – various restaurants/bars compete to come up with the best tapas, offering their specially created tapa and a drink for €2.50. 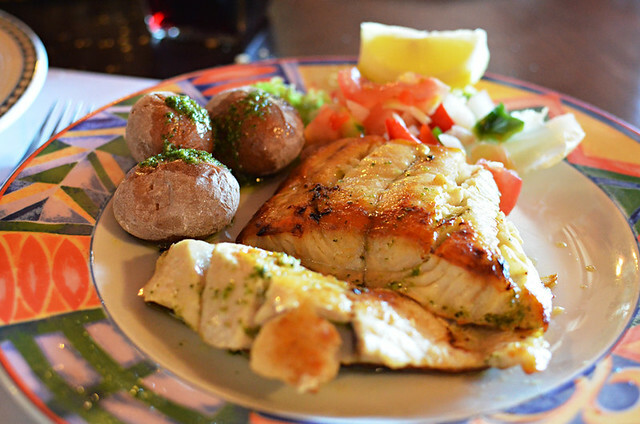 There are loads of ways to eat well without breaking the bank on Tenerife. It’s another of the reasons why we love living here so much. 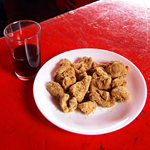 Have You Tried Chicharrones on Tenerife? Love the reviews. There is truly a great variety of food available on the island. The knack is knowing which to choose. One rule which seems to work is follow the crowd! Though we always are willing to try a new place if it is well presented. Very true Peter, as is trying a new place if it has something about it which appeals.